Together with Xabier Barandiaran we have embarked into a historical investigation of the notion of Habits as a theoretical building block for cognitive science. Far from the simplified stimulus-response pairing conception of habits defended by behaviorism, we found that habits have long been a very rich conceptual category at the root of the sciences and philosophies of mind until very recently. Here is a preliminary graph that summarizes some of our results (this work is being prepared for submission some time soon). 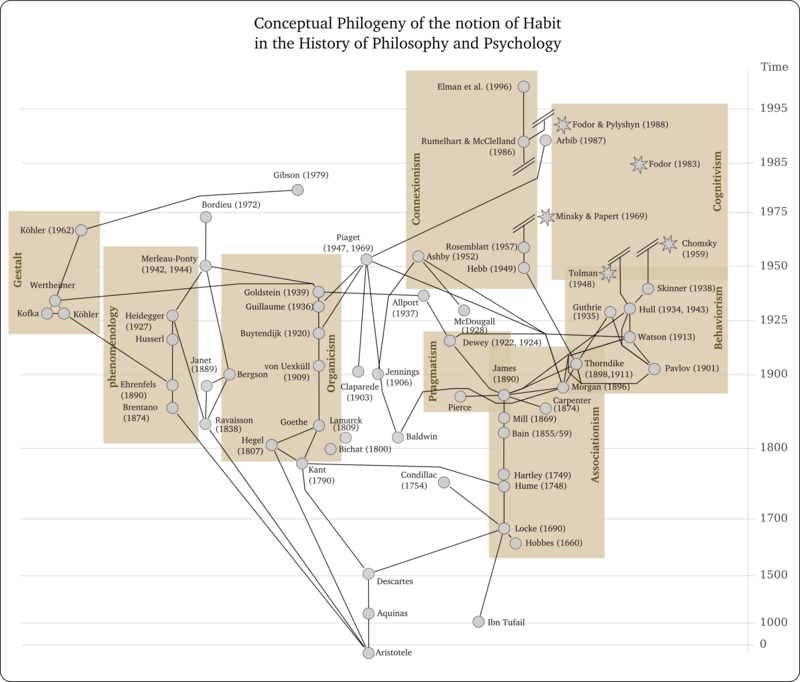 Note: this genealogy of the notion of habit is incomplete. We’re working on further connections and some names are missing or need to be better placed. The graph is under a CreativeCommons-By-Sa license.